Washing Machine is the name that the locals of St. Barths give to a series of small natural pools in Grand Fond. 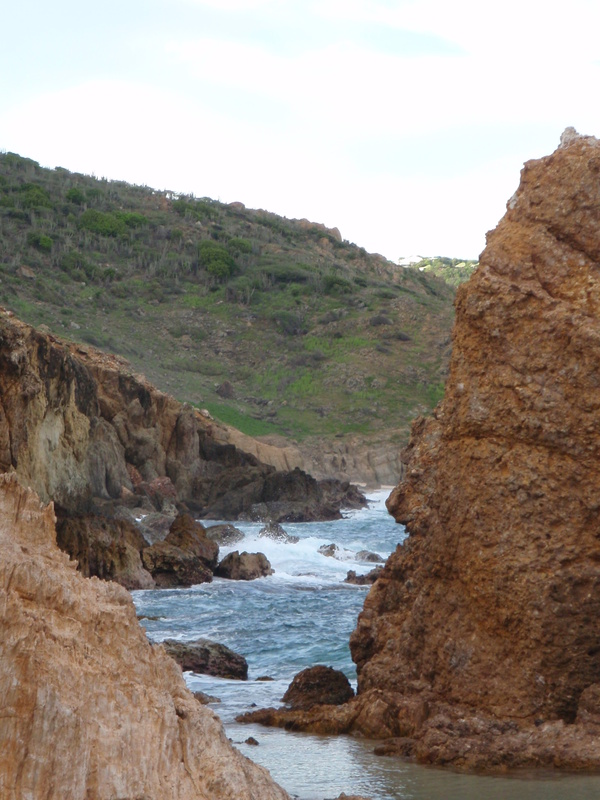 A footpath, overlooking the ocean, will lead you to the pools sheltered from the sea by natural rock formations. These pools, heated from the sun, are an oasis for sea urchins, so watch your feet… This is the wild coast of the island, where you are more likely to come across a goat than another person. A truly different experience during a St. Barths vacation. Should you want to visit those pools, I would advise to wear sensible shoes and to bring water, as the walk is about 15min, with no shade to speak of.